Just thought I would quickly share a couple of the belated birthday presents that I have received recently. I love getting a few late birthday presents as it feels like it is still your birthday even if it was a few weeks ago! This beautiful rose gold bracelet is from an old family friend. And it was just luck that it is rose gold like my watch! Both sides of the heart are so beautiful! The second present is from my best friend and the reason it was late was because she ordered it online and it just arrived. Its a picture where she has written everything that I love and it's amazing! It honestly shows how well she knows me because everything she has written is totally right! And I can't wait to have this on display in my dorm room. Love love love this present. My best friend is the best! And as my birthday card she also made me the most amazing booklet of all the pictures from the 7 years that we have known each other. It must have taken her hours and I kind of felt a little bit emotional looking at it! It's just such a nice gift and the kind of thing that I hope to keep forever. 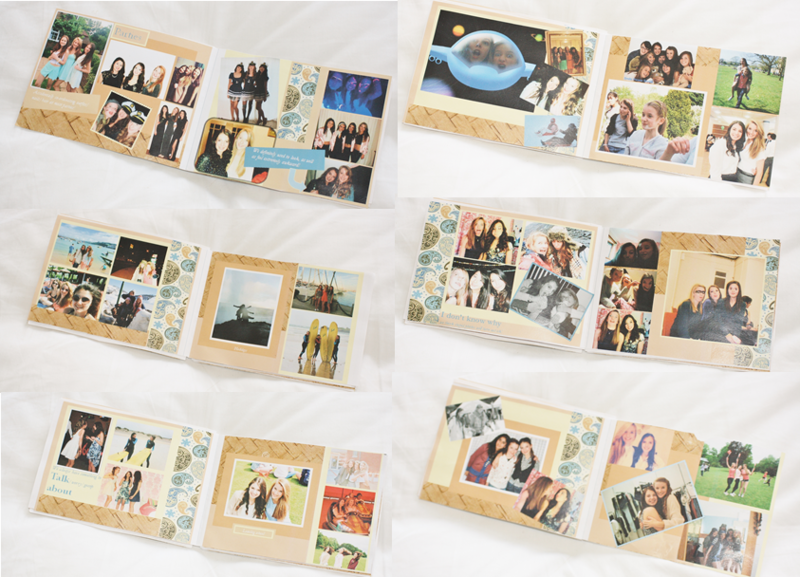 The pages inside the booklet! It's official we are crazy! And I don't know what I would do without this girl! Love the bracelet! So chic!